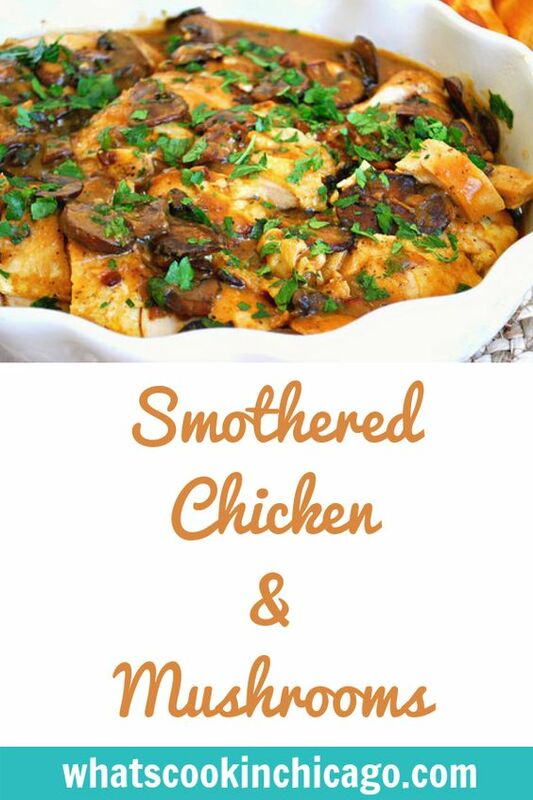 I've been testing some crockpot recipes lately and converting them for the Instant Pot and enjoyed this dish for Smothered Chicken & Mushrooms. 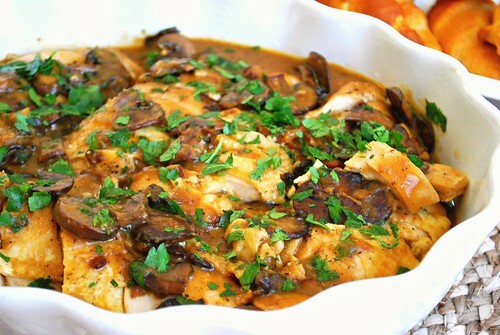 Creole seasoned chicken is lightly fried and blanketed in a savory mushroom and tomato sauce with bacon, mushrooms and garlic before pressure cooking. The result is a flavorful, hearty and comforting dish perfect for an easy weeknight meal or even for guests. This is an easy dish to prepare with little effort with the Instant to do most of the work! Season the chicken breasts and fry lightly for a bit of color. Next, sauté bacon, mushroom and garlic for some depth of flavor. The last step is combining tomato sauce and cream of mushroom soup to create a gravy that smothers the chicken, imparting serious flavor and richness. Leave it to your Instant Pot to let the magic happen in just an hour before dinner! If you don't have an Instant Pot, you can get the slow cooker/crockpot recipe version here! Press SAUTE on the IP and add the remaining 1/4 cup of olive oil. Once hot, brown the seasoned chicken in batches, for about 3 minutes on each side. When all chicken has been browned, return all chicken into IP. Add bacon, mushroom and garlic to IP; saute for about 5 minutes. Add chicken broth and tomato sauce; mix well. When the display reflects 5:00 (which is 5 minutes since the IP has beeped), turn the setting on top of your IP to VENTING. Doing so allows the IP to quickly release any remaining pressure (also known as QPR or QR). I use a wooden spoon to carefully turn the setting to avoid close contact with the potential steam. You may also want to turn your IP away from cabinets to allow the released steam to escape freely. The pin at the top of your IP will drop when all pressure has been released and it's safe to open. Add the cream of mushroom soup to the IP and stir; allowing to warm through. Transfer chicken to serving dish and garnish with parsley on top if desired. Serve over hot rice or potatoes.